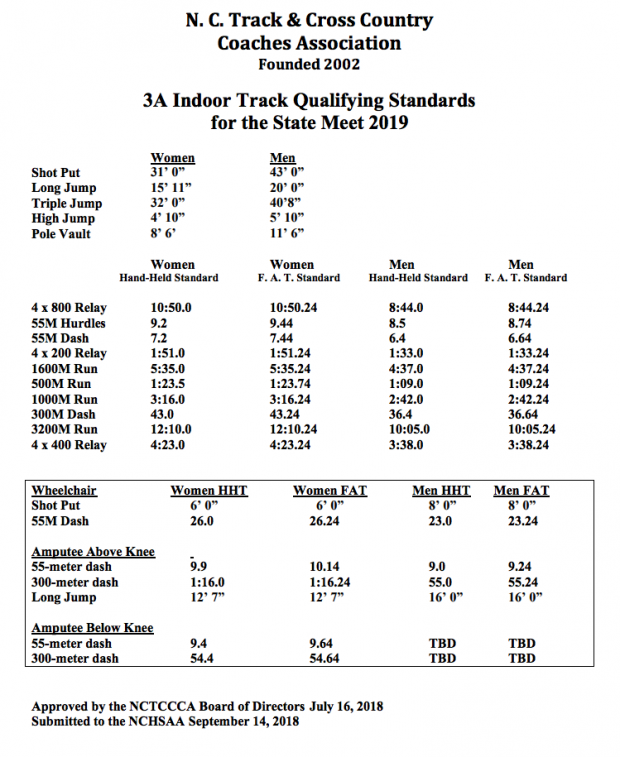 The NCHSAA announced their new NCHSAA Indoor State Qualifying standards for the 2019 season. 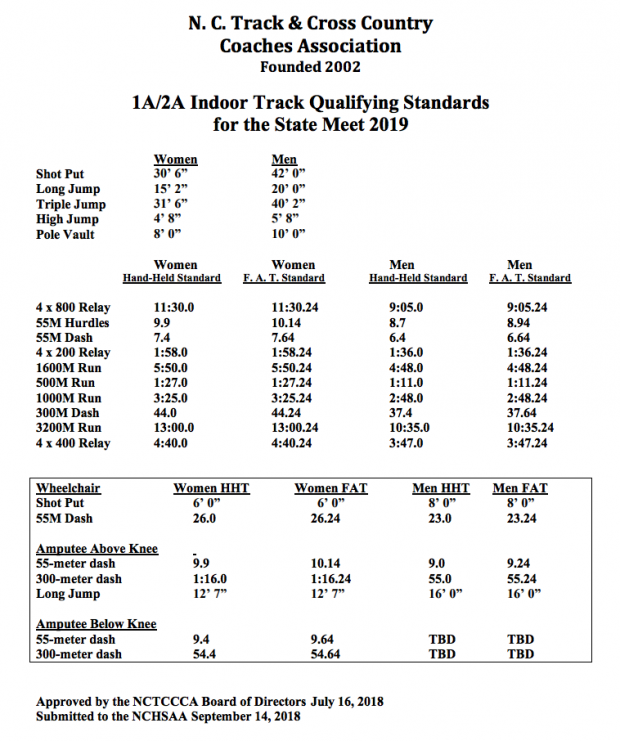 You can find the new standards below for 1A/2A, 3A and 4A! 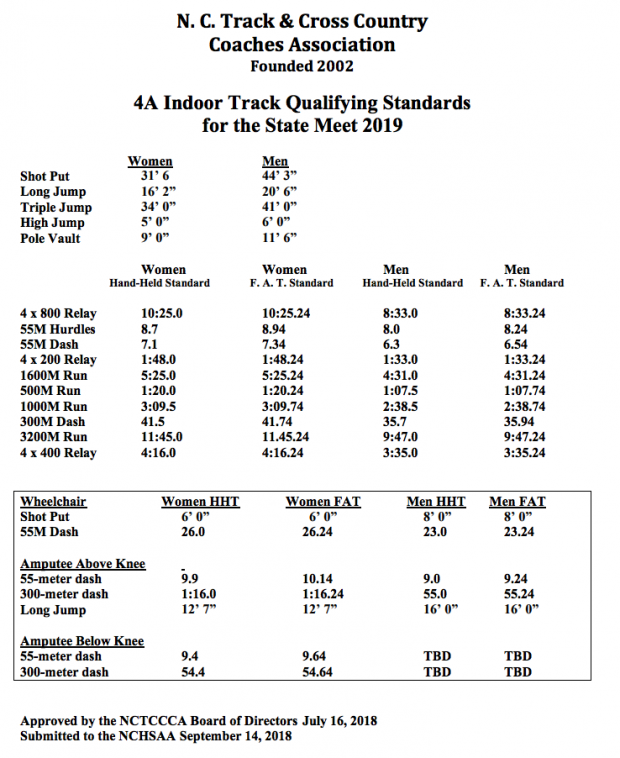 Track is back!